Far from Earth, prison is war.. In the distant future, as mankind discovers life on other planets, it needs soldiers to defend its colonies and outposts across the stars. In order to increase the number of boots on the ground, criminals are offered the opportunity to serve in the place of incarceration. But as wars wage on and more soldiers are needed, small-time crimes are given long-term punishments. When a rag-tag group of prisoners serving their time as soldiers become stranded and abandoned on a war-torn planet, they’ll need to work together to survive and uncover the truth behind Earth’s role in deep space. 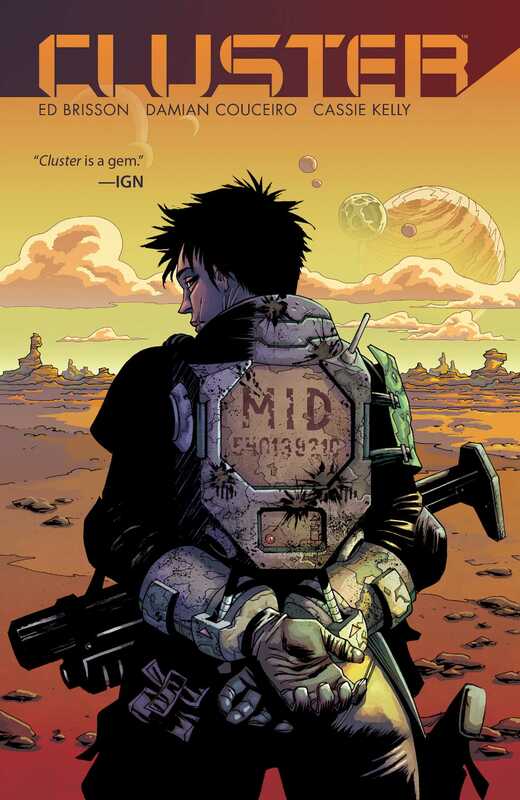 Written by Ed Brisson (Sheltered, Batman & Robin Eternal), and illustrated by Damian Couceiro (Sons of Anarchy) this volume collects all eight issues of the gritty, critically acclaimed sci-fi epic.